Sullivan, Gail E. (nee Doman) (May 31, 2017) Beloved wife of the late Thomas H. Sullivan Jr. Loving mother to Bruce T. (Patricia), and Thomas B. (Priscilla) Sullivan. She will also be missed by her 5 grandchildren, Beau, Sean (deceased), Cory, Thomas and Stephanie, her 3 great grandchildren, her brother Chuck Doman and her niece Karen Wakshul. Relatives and friends are invited to Gail’s Funeral Service Monday 6/5 11am at Craft Funeral Home of Erdenheim, 814 Bethlehem Pike. People are also invited to her Visitation Sunday 6/4 from 4 to 6pm and Monday 6/5 from 10 to 11am at Craft Funeral Home. Interment Whitemarsh Memorial Park. In lieu of flowers contributions in Gail’s name may be made to Delta Animal Shelter, 6975 County 426 M.5 Rd., Escanaba, MI 49829. Gail has a very busy, active and full life. She retired from Germantown Savings Bank as a VP in the mortgage department. 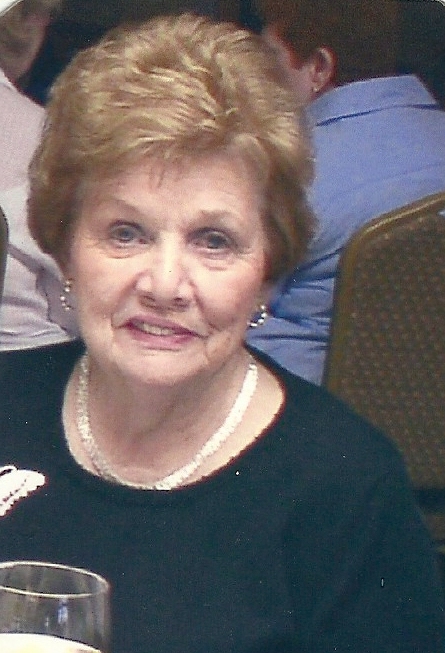 She also served on the zoning board of Horsham Township for 23 years. She volunteered at Abington Hospital every Friday and her love of animals called her to volunteer at many animal rescues over the years. I believe the last one was Cat Tails. For many years she was an active volunteer with LuLu Shriners especially with the Clown division where she was known as Sully’ Mom. At one time she owned a bar along with my Dad on Chestnut Street in Philadelphia called Froggy’s Saloon and a Crab & Crawfish plant in Louisiana. Recently Gail moved to Ann’s Choice, but before that she lived in Horsham in a home that my Mom and Dad had built in 1969. She loved her animals especially her dogs. She kept all the birds in the neighborhood well fed also the foxes and deer did well too! I think that is one of the things she loved the most about her home. We would joke with her that when she moved all the birds and animals went on a forced diet. I wish I had the skills to tell you what a wonderful mother she was and how much she will be missed. A lady I have know for over 60 years, who married my best buddy Tom I known for over 70 years. Two people who never known the word dislike, always there to help. Two persons I loved and will miss very much but happy to know they are together once again.